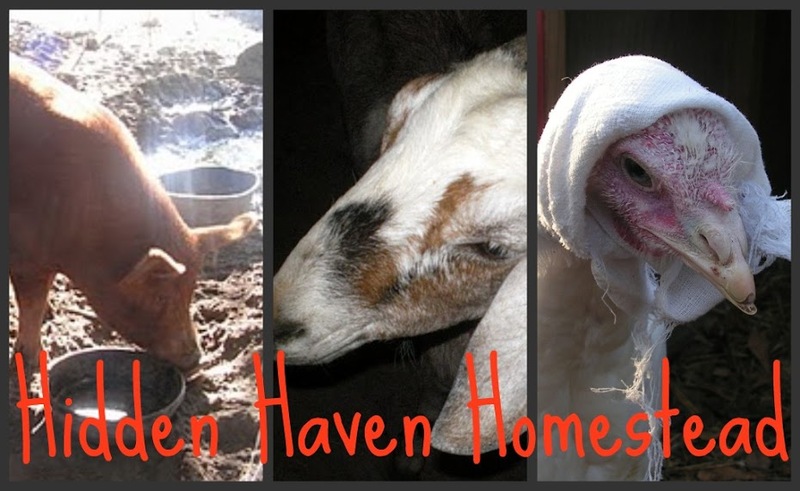 Hidden Haven Homestead: How Hot Is It? I think I would leave it, but I'm a scardy cat when it comes to birds. Sounds silly, but chalk it up to a bad childhood experience! I wish I could send some cooler weather along with a little rain! That is the cutest picture Peggy. I think it is hot everywhere today! I know how Fred feels..it is sooo hot down here too. Today felt the hottest but I am not sure what the high was. I don't think I'd try to Fred's fan away either. It's still hot and miserable here. The heat index yesterday was 107º. I'm ready for a cool down. It sure is hot here too. I can't wait for this summer to end. Your poor animals must be wilting..
You are so good to your animals, Peggy..... I wonder what animals do in weather like this when their caregivers don't care.... I guess that some of them don't make it... Glad you do such a great job taking care of yours... God Bless You, Peggy. That is so funny. You are so good to your animals, Peggy!! I would not touch that fan if I were you. You might loose a digit or two. He looks serious. What a cut turkey. Stay cool. I don't think I would ever move that fan...a mad turkey would be way too much to handle. Wow it must be very hot Im looking forward to coming and visiting again when it is much cooler.I cannot wait to get a bunny also!! !